Antibiotics stewardship at urgent care centers is in the spotlight after the release of a pair of recent studies. Appropriate prescribing of antibiotics by healthcare providers is essential to help avoid the development of antibiotic-resistant infections, which the Centers for Disease Control and Prevention calls one of the most severe public health problems in the country. About 23,000 Americans die annually from an antibiotic-resistant infection, the CDC says. In July, CDC researchers published a study in JAMA Internal Medicine that found inappropriate prescribing of antibiotics for respiratory conditions was highest in the urgent care setting at 45.7% of patient visits. Emergency departments were the second highest at 24.6% of patient visits. The research was based on 2014 data. “Antibiotic stewardship interventions could help reduce unnecessary antibiotic prescriptions in all ambulatory care settings, and efforts targeting urgent care centers are urgently needed,” the CDC researchers wrote. This fall, DocuTAP, an urgent care electronic health record company, released an antibiotics stewardship report based on 2017 and 2018 data. The DocuTAP research found inappropriate prescribing of antibiotics for respiratory conditions in urgent care centers at 32.4% of patient visits. “While we all have work to do when it comes to antibiotic prescribing, this data conﬁrms that the rate at which urgent cares are inappropriately prescribing antibiotics is in line with other segments of the healthcare market,” the DocuTAP report says. Laurel Stoimenoff, PT, CEO of the Warrenville, Illinois-based Urgent Care Association, says there are three primary ways that urgent care providers can improve antibiotics stewardship. Robust EHR systems allow urgent care centers to monitor the prescribing activity of individual healthcare providers for inappropriate antibiotic utilization, Stoimenoff says. “The electronic health record can allow you to pull data by prescribing physician. If a diagnosis was bronchitis, I would like to be able to run a query with that diagnosis and the prescribing physician. The electronic health record can help us self-monitor what is happening in our organizations,” she says. In addition to having a robust EHR, urgent care centers should mandate healthcare providers to use the most specific ICD-10 code possible to enable antibiotic prescription self-monitoring, Stoimenoff says. “If research is being done with retrospective evaluations, and you are picking the easiest and most conspicuous diagnosis at the top of the code selections, you are not giving the data that we need to determine whether an antibiotic was appropriate,” she says. One of the most daunting challenges of antibiotics stewardship in the urgent care setting is patient expectations, Stoimenoff says. “About 20% to 40% of our patients do not have a primary care doctor. Oftentimes when they get to us, they are very sick, and they come in with an expectation [that] they are not going to be satisfied unless they walk out of the clinic with an antibiotic,” she says. To address this expectation, healthcare providers should talk with patients about the difference between viral infections—which are inappropriate for antibiotics—and bacterial infections. 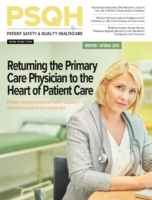 “If a patient has a long-term relationship with a primary care physician, the doctor can tell the patient an antibiotic is unnecessary and there is credibility with the patient. If the patient goes to an urgent care and sees a provider for the first time, the patient may say they are not leaving the clinic without an antibiotic,” she says. When patients have an expectation of getting an antibiotic, urgent care providers need to steer the conversation away from antibiotics, Stoimenoff says. “There are techniques to make the patient feel confident. It’s looking them in the eye or sitting down to change the perception of how much time you are spending with the patient. A great thing I have heard providers say is, ‘If you were my mother, this is what I would do for her.’ That gets the patient thinking they are in the same class as the doctor’s family member,” she says. Clinics can also educate patients with posters and videos that explain the difference between viral and bacterial infections. Antibiotics stewardship efforts at urgent care centers and other ambulatory care settings should be supported by a broad public health campaign, Stoimenoff says. “We need a public relations campaign just like we have had for seatbelts and smoking. People need to understand that antimicrobial resistance is very real and frightening. It’s going to continue to happen unless we all change our behaviors, and the consumer has to be part of that equation because of their expectations,” she says. Unless patients are better informed, urgent care centers with judicious antibiotics stewardship should be prepared to face a business risk from bad online reviews on platforms such as Yelp, Stoimenoff says.